GET LOST: No, really. If you watch the show, Lost, you’ll know that’s no joke. The complex hit series that’s in its final season has only four episodes left and Taste & Thirst on Fourth wants to share the experience with you. The owner of the restaurant is going big and will be playing the show on a 160-inch projector TV. So go ahead, get Lost! ROCKY ROAD? WE HOPE NOT: If you missed it last night, here’s your chance to redeem yourself. The Padres will take on the Colorado Rockies for the second night in a row. Check out tickets online to get a good price. Show your support and Padre pride at Petco Park. 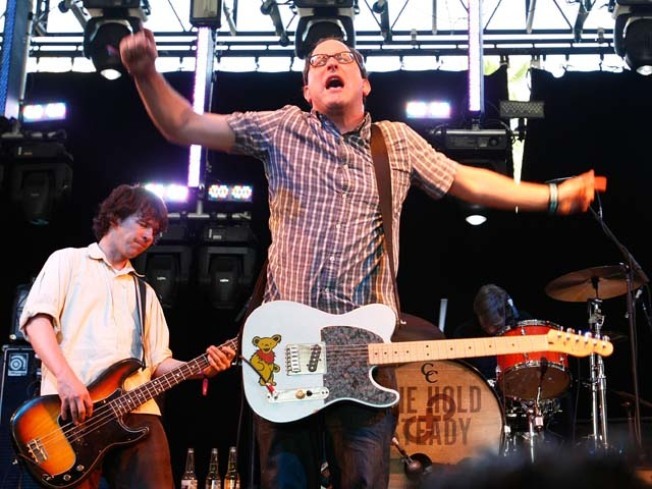 First pitch is at 7:05 p.m.
NOT-SO-ROCK STEADY: Don’t be fooled by their New York and Twin Cities roots, The Hold Steady band are switching up their rock vibe for a new bluesy, breezy guitar feel that will have your mind dreaming of the South. Accompanying act, The Donkeys, will be contributing their eclectic mix of indie-pop-rock, blues and even alt-country. Look for the bands wooing fans at Belly Up Tavern at 9 p.m.